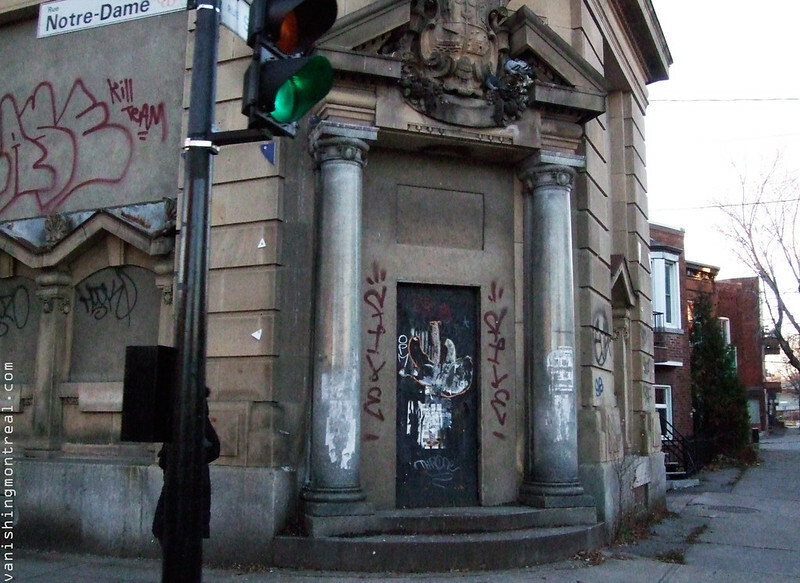 This Molson bank has been abandoned for many years now. It's a nice solid structure and yet it gets no love. This one's not actually abandoned. I've heard it's used for storing some company's archives. Can't remember which one, unfortunately. Sure would like to see a picture of this puppy with the original windows. If this beautiful building is used just as a storage space well that's even more sad. 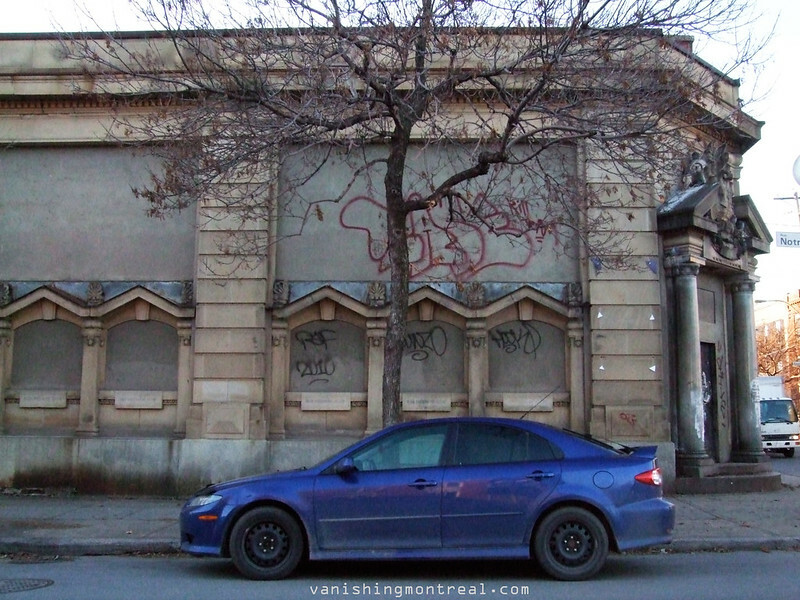 It's a waste and it's still not being used for its intended purpose and the exterior is sad and dirty. Technically speaking I still consider it abandoned. I work with a theatre company and we would love to work with the city and whoever the landlord may be to change this derelict building into a thriving cultural space. Does anyone know who the owner is? Linda, I no iz booklernd, but I would love to co-operate on that project. i was thinking a somewhat live-in multi-art co-op, rooftop garden, sharing of ideas. have you checked out that building on richelieu, that place is huge and the inside is filled with such beautiful graffiti, its like being in berlin. i envision a huge art space, and you would have ample room for at least a 100 residents (members). (think christiania) maybe i'm thinking a bit too marxist here, but imagine... apparently the ground is toxic. but its been abandoned for over 20 years. it's got so much room, and natural light. could you rent the land from the city? just thinking out loud here.. This place has changed since these pictures were taken! This place is being actively renovated and will be a music venue in the coming months. The building is alive and well after a couple years of renovations.